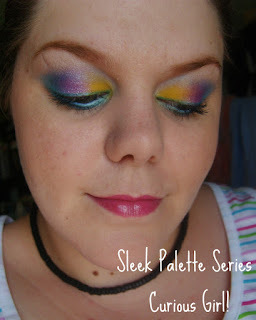 Sophsterlicious • UK Blog: Sleek Palette Series - No4 Curious Girl! Haha! It's that time again! I haven't done one of my Sleek Palette looks for ages. With the Curious Palette I wanted to use the fun colours and do a bright funky look. When I look at the pictures I think the yellow was a bit of a mistake, but hey, you live and learn. 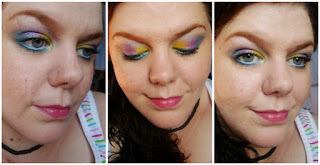 You're very talented hun blending so many colours together and making a fab look! I agree about the yellow though..it's a tad too much but the overall look is still amazing! :) Have a fab weekend hun! Oh wow i looove the look! Such fun colours :) I really like the look of the curious palette.